A well located chalet close to the slopes and village centre of Arcs 2000. A family ski specialist runs this chalet; to book into this chalet you must have at least one child in your group. 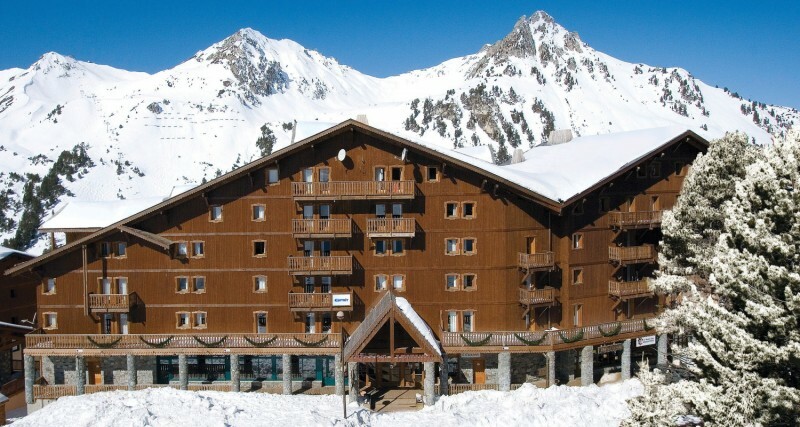 Chalet Aravis is a chalet apartment located in the Altitude residence in Arcs 2000. 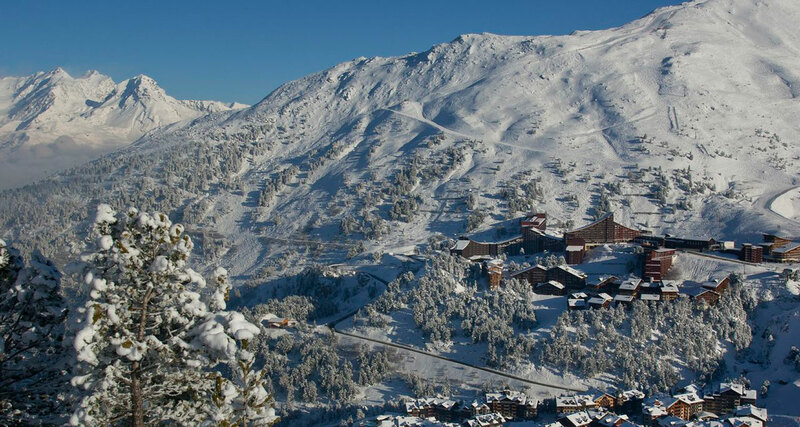 The skiing is close by, a quick hop on a button lift which is just 100m from the chalet takes you straight to the pistes from which point the entire Paradiski is your oyster. At the end of the day, skiers can ski very close to the chalet, approximately 1 minute’s walk away. The chalet sleeps 8 guests in 4 rooms, the residence has ski lockers, a ski room and lift access to the chalets. 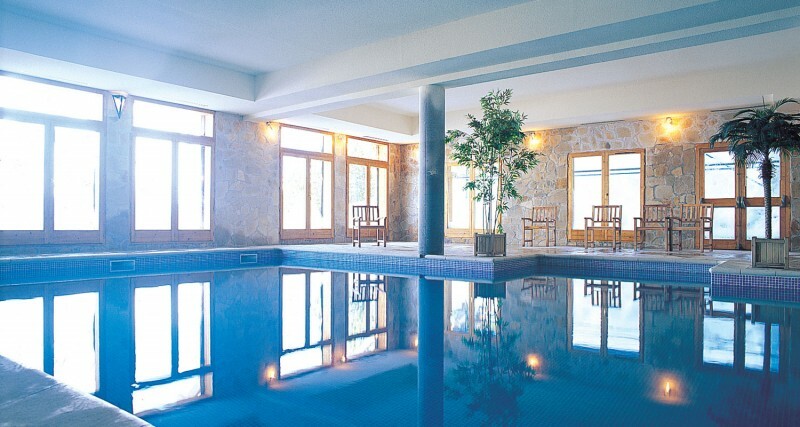 Kids love the swimming pool on the ground floor which is shared with other guests, there is also a sauna too. One of the joys of choosing to take a catered chalet or Chalet Hotel ski holiday is that you’re not doing the cooking. Your staff prepare and serve breakfast, afternoon tea and a 3 or 4 course evening meal including wine and coffee, on six days a week, representing great value for money in any ski resort and giving you more precious time as a family. High standards are set for cuisine, staff are trained extensively before the season starts, to ensure that guests will enjoy every meal. In all properties breakfast is served buffet-style with a selection of cold options including a choice of cereals or porridge, cold meats, cheese and preserves, and bread (an croissants in France) fruit juices, tea and coffee and a cooked breakfast of bacon, sausage, eggs and beans. Every day, apart from the one staff day off, a home-bake cake and tea and coffee making facilities are laid out for you to help yourself when you return from the slopes. High Tea at 5.30pm is served as a 2 course evening meal for all children under 13 as many parents prefer to enjoy adult-only company over dinner. Parents are asked to accompany their children under 3, whilst 3-12 years old are supervised by the childcare team. 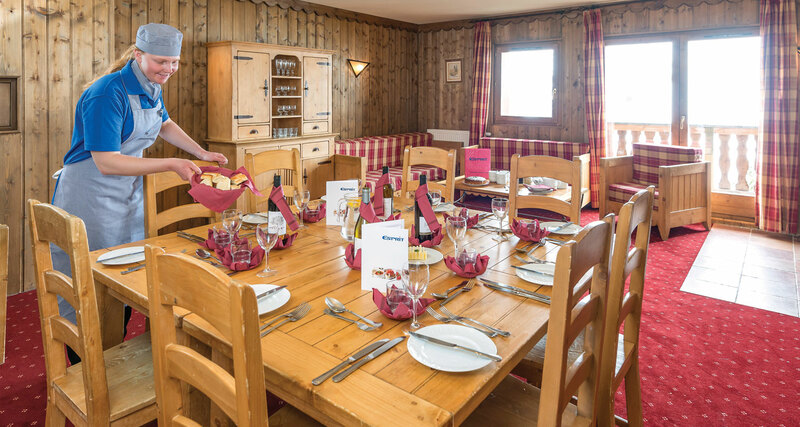 If it’s important to you to eat dinner altogether as a family, Family Dining can be offered in any chalet when you book the entire chalet for exclusive use. Dinner is then served from 6:30pm with the menu based on our adult dishes with some flexibility for the children’s preferences. There is a supplement of £39 per child for Family Dining. The Valentine in La Rosiere, is a Family Dining chalet throughout the season, with no additional charge. Once a week, you have an opportunity to eat out and enjoy a local Alpine Restaurant on the staff’s day off. Vegetarian options are available in chalets if you advise in advance. Other special diets can generally be catered for at a cost of £35 per person per week. Any dietary requirements must be advised at the time of booking in order to be fully prepared. A no frills chalet apartment offering that most sought after commodity in a family ski holiday – convenience!